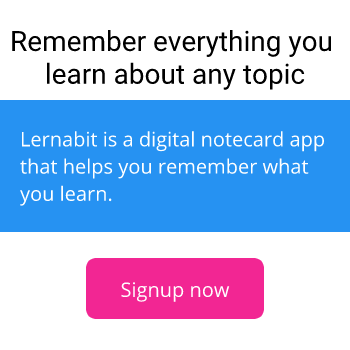 Get the most out of Lernabit with ideas, learning tips, and site news from the creator of Lernabit. I've made the first donation! I have made the first charitable donation from Lernabit! Version 2.4.18 of the Android app is available. See what's new.